Thanks for your interest in The Chronicles of Future Earth – Cosmic Fantasy Roleplaying in the Post-Historical Age! Although our Kickstarter campaign is now closed, we’ll be providing more information shortly about our Chronicles of Future Earth pledge manager, which will enable you to pre-order the game and even make late pledges to the campaign! Monsters & Magic RPG print edition! Mindjammer Press welcomes Garry Harper to the team! Out now – print versions of “The Tears of Ampharool” and “The Swallower of Souls”! 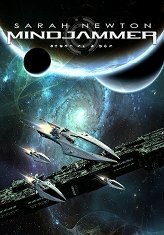 Mindjammer Press welcomes Luca Volpino to the team! Mindjammer Press at Dragonmeet 2018!